NYC Flatiron District's Most Affordable Portable Storage and Moving Services! In the blocks surrounding the Flatiron building’s incredible unique cast-iron architecture, a mixed bag of people fill this busy, metropolitan area. From shopping and parks to great restaurants, there’s something for everyone. And now, Zippy Shell is bringing something new and exciting to the Flatiron District…the most convenient and affordable mobile self-storage in Manhattan. Residents of this area no longer have to hunt far and wide for the best deal in portable storage. One simple call to Zippy Shell will do the trick! Mobile Self Storage in the Flatiron District! Broadway intersects 23rd St and 5th Avenue to form the center of this neighborhood, but also creates a great deal of congestion. Maybe you’ve called a mobile storage company before, only to find out they can’t help because of parking restrictions. Well, worry no more, because Zippy Shell mobile storage containers are completely street legal! That’s right, we can deliver a Zippy Shell right to your home or business’ front door, no matter where it is! Portable Storage and Moving Moving in the Flatiron District! Whether you’re moving, downsizing, or de-cluttering, using Zippy Shell for your mobile storage needs couldn’t be easier. It’s simple. We deliver. You pack. We pick up and store…just like that! When we pick up your Zippy Shell, you can relax with the knowledge that your belongings will be kept safe and secure in our climate controlled storage facility. And, whether you need a night or two or a few months of storage, we’ve got you covered. 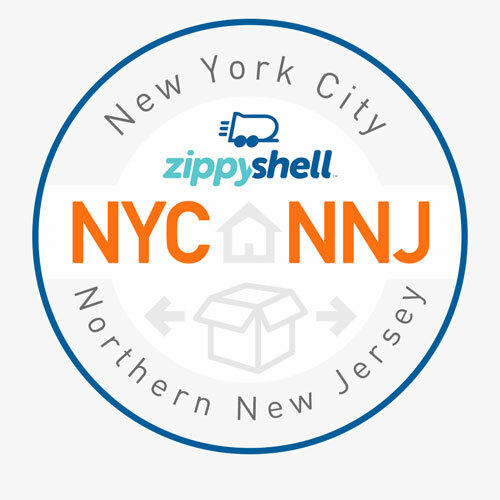 Whenever you’re ready, Zippy Shell of New York City and Northern New Jersey will deliver your items right back to your front door or to your new place! How easy is that? Self Storage in the Flatiron District is Easy! Call today to find out the very best part about Zippy Shell mobile storage containers in your area…THE PRICE! We are, quite simply, the most convenient and affordable mobile storage solution in New York City. So, what are you waiting for? Contact us today for a free quote! We also offer mobile storage units in New Jersey - contact us today!